Your feet are probably one of the most overworked part of your body. You use it from the time you wake up till you go to sleep at night. Taking special care of it is no doubt a very good idea. 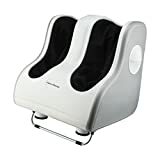 So go beyond the pedicures and buy a foot massager for yourself. Here’s how to go about it. 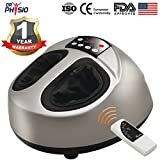 If you are wondering why you should buy a foot massager, here are some concrete reasons to do so. Relieves stress: One of the biggest benefits you enjoy is the stress leaving your body. With work and chores, a foot massage at the end of the day is what you need for a good sleep at night. 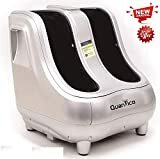 Induces relaxation: Being on your feet all day is no fun so when you are back home, a foot massager can be your own way of relaxing with a book. Improves circulation: If you have a desk job, the all-day sitting can have a negative effect on your body’s circulation. A foot massager improves circulation and makes you ready for yet another day. Gets rid of migraines and headaches: If you are frequently getting migraines or headaches, a foot massage can be a way of alleviating the pain involved. 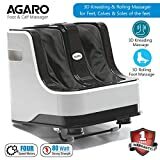 Here are things to remember when choosing a foot massager. Size: The size of the product you buy is crucial. You definitely need a size that will fit your feet in comfortably. The weight should be such that you can easily carry it around from one room to another. Cushion surface: This is where your feet will be going and it should be very comfortable. Cushion surfaces which contour the feet are the best because it will mean that the massages will have more impact. Speed: The product you buy must have different speeds so that you can change them according to your liking. Control: If the massager you buy is one that requires you to bend down to change the setting, it can be a bit of a nuisance. So it may be a good idea to invest in one which either comes with a remote control or has toe-touch control feature. Heat therapy: Sometimes, you just need a hot feet massage. 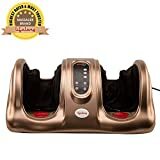 It is easy to get it if you buy a foot massager that comes with a heating function. 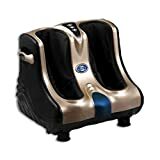 Here are some of the top brands of foot massagers available to you. 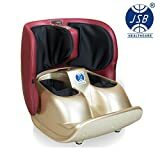 JSB: This is one of the top manufacturers of foot massagers available in India and you will not go wrong by choosing a product from it. Lifelong: This is another company you can trust with your eyes closed for foot massagers. Agaro: It has a variety of products to choose from in different price points. Wishpool: This company has some stunning foot massagers you can opt from.